The Women’s is one of Australia’s leading specialist hospitals dedicated to improving and advocating for the health and wellbeing of women and newborns. To work at the Women’s is to be part of a unique community of inspired professionals committed to creating a world-class service for all women, right here in Melbourne. As a specialist tertiary and teaching hospital, the Women’s offers challenging career pathways and rewarding opportunities. We are a hardworking, dynamic team – we meet challenges together and always strive towards the exceptional. Find the exceptional in your everyday – the Women’s where you belong. 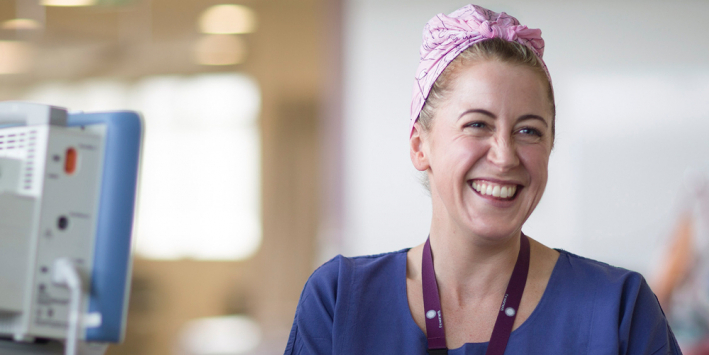 Working at the Women's offers flexibility, access to professional development, the opportunity to be part of a leading research centre, strong links with the community and a strategic approach to creating partnerships in the health sector. The Women’s understands that flexible work practices are a must in today’s world and that a proper work-life balance is a priority. The Women’s is a predominately part time workforce that offers choice of shifts across much of its operations. In addition the Women’s has a dedicated casual workforce known as The Women’s Bank that services the organisation’s casual staffing requirements. Check for current vacancies or contact HR Enquiries for further information about becoming a casual employee through The Women's Bank. At the Women’s we believe in the importance of an engaged workforce. In the 2016 People Matter Survey (a state wide engagement survey run by the Victorian Public Sector Commission) the Women’s achieved an overall engagement score of 76, compared to 71 for similar healthcare organisations. In 2017 we increased our overall engagement score to 77. The Women’s is focused on improving the engagement of our people. The results and feedback generated from the 2016 People Matter Survey allowed us to implement a number of great initiatives across the organisation as part of The Women’s People Strategy 2016 – 2020. Interested in becoming part of our team? Take a look at the current employment opportunities. The Women’s believes that health equity for all women is more than a vision; it’s a responsibility. The Women’s Declaration reflects these principles with a philosophy that fundamentally captures the essence of who we are, as well as, our organisational values to ensure that in everything we do, we value courage, passion, discovery and respect. The Women’s provides excellent care because of the work our people do every day. We want to create not just good, but exceptional experiences for every single person that comes through our door. We believe that, regardless of where they work, all our people play an important part in achieving our aim – they are key to our success.